A new title in the “Aesthetic Methods for Skin Rejuvenation Series”. 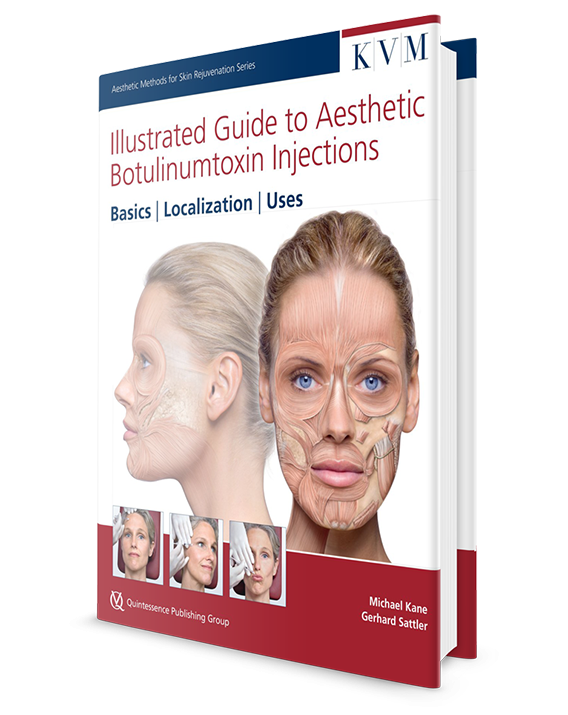 Written by internationally renowned specialists, Michael Kane and Gerhard Sattler provide a practical, unique step by step guide to aesthetic procedural techniques using botulinum toxin A injections. The book describes with the help of 260 outstanding didactic photos and anatomical graphics each facial procedure in terms of patient examination, the topography of the muscles and the treatment. Authentic case histories for procedures in the forehead, glabella, brow, lower eyelid, bunny lines, marionette lines, nasolabial folds, cheeks, gummy smile, upper and lower lip, chin neckline and décolletage are supported with photographic documentation. Practical tips, pitfalls and checklists are also included. Dr. Michael Kane, Aesthetic plastic surgeon, New York, USA and international lecturer on all topics relating to aesthetic plastic surgery. Dr Gerhard Sattler is the President of the German Society of Aesthetic Surgery (Gesellschaft für Ästhetische Chirurgie Deutschland, GÄCD) and ExecutiveDirector of the International Society for Dermatologic Surgery, as well as being a member of numerous professional associations. He is also the Director of th Rosenpark Klinik, a leading aesthetic medicine and plastic surgery facility in Darmstadt, Germany.